We are the #1 Tarpon Springs web design and web marketing agency. We live and work in this market. Lots of web design companies have come and gone but we have passed the test of time. Serving Tarpon Springs for 14 years. More people use the Internet to search for goods and services in Tarpon Springs than the yellow pages. 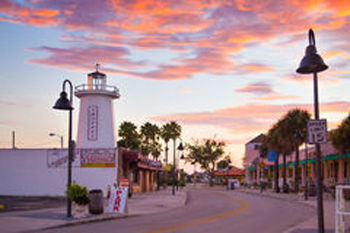 We bring more Tarpon Springs visitors to your site by improving your ranking and building your online presence. Find out why more Tarpon Springs Merchants trust our skills to create their e-commerce web sites. We know Tarpon Springs. Build an audience, earn their interest, and create genuine connections through social media. 350,000+ visitors will look at SpongeDocks.net this year before visiting Tarpon Springs. Do you have a product or service they will need or want? Tourist search the Internet first. Will they find you or your Competition! We offer the only form of advertising that shows you EXACTLY how many people saw your advertisement. There are no long term commitments. It will work for you but you can stop at anytime. Many Tarpon Springs businesses have depended us to design their websites and sell their products online. We help you place your website higher in the Google Rankings. We’ve proven we know how! People are on the Web every second, every minute, all day and all night looking for your product or service. We make sure customers find you so they can buy from you instead of someone else. If you want to increase your online sales or leads, contact The Web Marketing Xperts today!